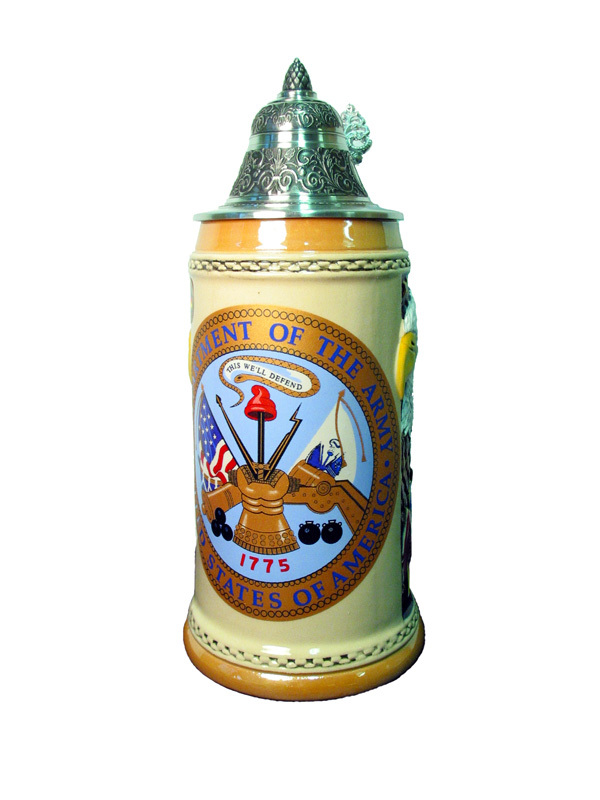 Beerstein with US Army Theme. Central US Department of the Army Logo; to the sides eagle and flags. high quality pewter pointed lid. 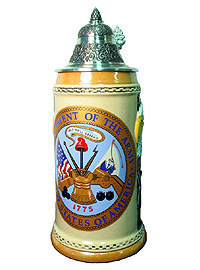 A beerstein made by the King Werk beerstein factory, in the so-called Kannenbaeckerland, the German pottery and beerstein center.